Dogs, Cats, Car, Picnic etc. 100% Wool Serge material made from our remnants, available in black or our standard colour range. 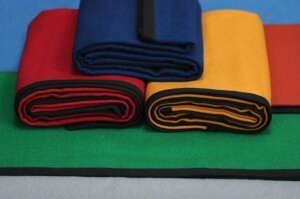 The blankets are available in either 150cm x 100cm or 150cm x 150cm. They can be machine washed although 5% shrinkage should be expected. Following a recent successful trial, we are pleased to announce the arrival of a new delivery of the 183cm (72″) Black Serge. 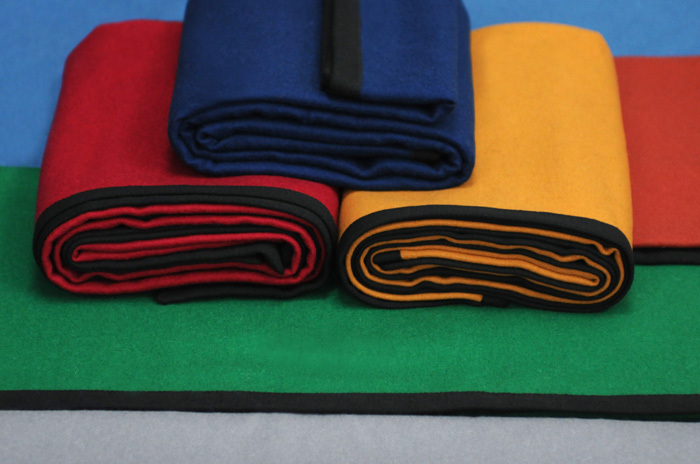 The cloth has an average weight of 500gm/m² and almost 7% cheaper than the 150cm (60″) Standard cloth. Please contact us if you have any questions or to obtain a sample. Sound Absorption Test Results are now available, for full reports look under our Acoustic Materials section. IFR Satin: New colours added to the range – Royal Blue and Lavender. 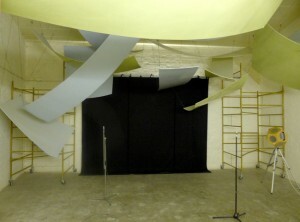 Turquoise – Jade – Silverose – Platinum. NDFR Sheeting 195gm/m² in Black is now available in: 420cm/165”, 515cm/203” and 620cm/244” widths. 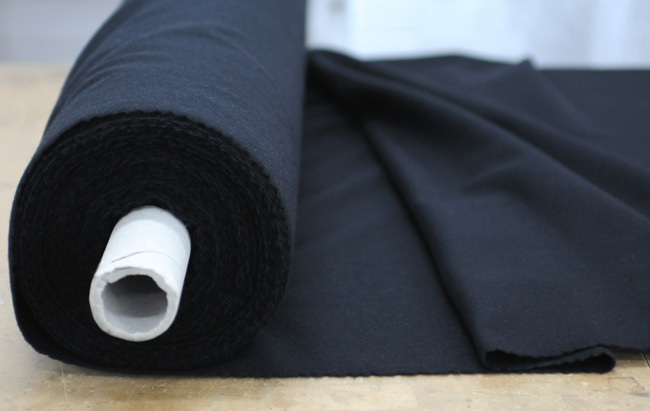 NDFR Cotton Canvas 330 gm/m² in Black is also now available in 420cm/165” and 520cm/204” widths.